Many people assume that they know everything they need to know about career choice, thinking that what they have heard from is enough. The unfortunate thing is, while they believe they are on the right track, they often end up stuck in an unfulfilling career, realizing later that they made a bad choice. 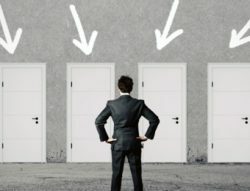 As a serious career finder, how should you make a choice of career based on informed decision? Here are some of the common misconceptions by people about their career choice, so you will not fall into the same pit. On the contrary, it is far from being simple, for it involves a process that requires time and effort before finally considering an option. A good-looking career does not mean it is right for you. You should also take into account your interests, skills, and values. Resume and cover letter writing aren’t as easy as it sounds and you’ll be needing ample skills to build your job hunting tools. Choosing a career involves your life and future, so it should not be made like you are merely clicking buttons from a list of “best careers” or “hot jobs” created by so-called online career or job web sites. While it is alright to read these lists to check which one personally appeals to you, it should be used as basis for decision-making. What may be “best” or “hot” jobs this year may not be the same in the years to come. It will be better to choose one that is related to what you love doing during spare time, such as a hobby. Many people tend to enjoy and become very skillful in these rather than their choice of career. You can actually transform your hobby to earn an income and make a living. The role of a career coach or counselor is to guide you in choosing a career and help you facilitate a decision. They cannot tell you, and should not in any way tell you, what career is best for you. Many people assume that choosing a career is all about which one makes a lot of money. Of course, salary is important in order to pay your bills, but this is not the only factor you should look at. Money alone will not make you happy, nor will it necessarily result to job satisfaction. Think about it. Everyone is unique and different, even if you know him or her because you both have a lot in common. Thus, it is a bad career choice or move to simply decide because you are influenced by your parents, siblings, relatives, friends, or neighbors who seem to be happy in their own fields. Just take a look into their jobs, but do not immediately assume it fits you well.